When I think of Malaysia, the catchphrase “Truly Asia” always follows. And as if on cue, the Petronas Twin Towers will regally rise into the spotlight, like a beauty contestant, greeting my thoughts with: “This is Petronas Twin Towers, Malaysia!” But there’s more to Malaysia than its tourism slogan and skyscrapers. 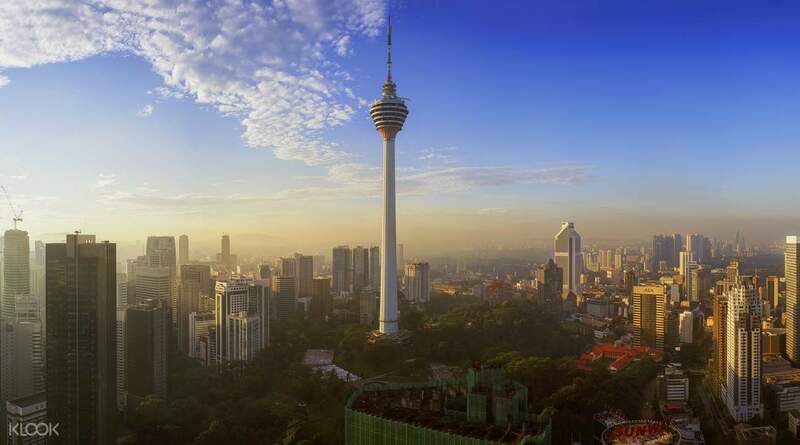 Its capital Kuala Lumpur alone has plenty to offer. Last month, we visited this city for the fifth time! 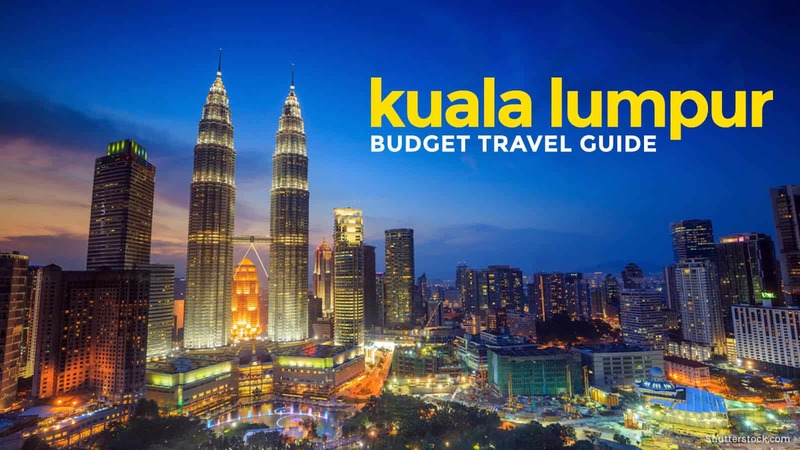 So when one of our readers asked if we already have a Kuala Lumpur Travel Guide, we were confident we had one. Imagine our surprise when we realized we don’t! All these years, we thought we had it covered. LOL. So here it is now, correcting this injustice. Malaysia is a federal constitutional monarchy composed of 13 states and three federal territories. Kuala Lumpur is one of those three federal territories. It is Malaysia’s largest city, as well as its national capital. 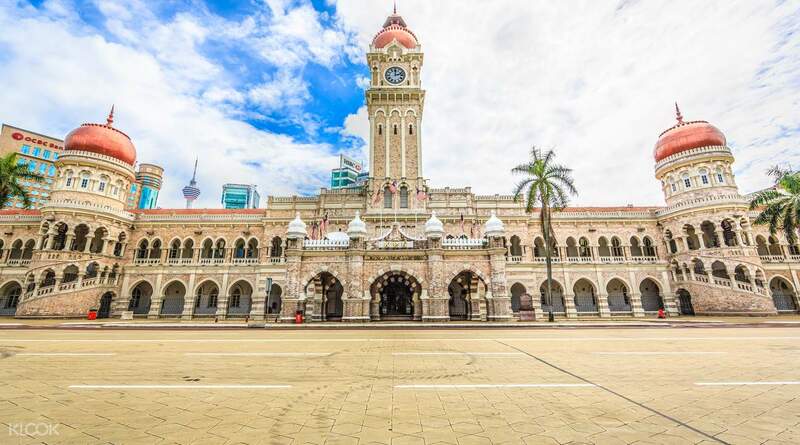 Although not as old as Melaka and George Town, the city showcases seamless yet distinct coexistence of old and new, where preservation of structures will let you have a glimpse of what made this city what it is now. 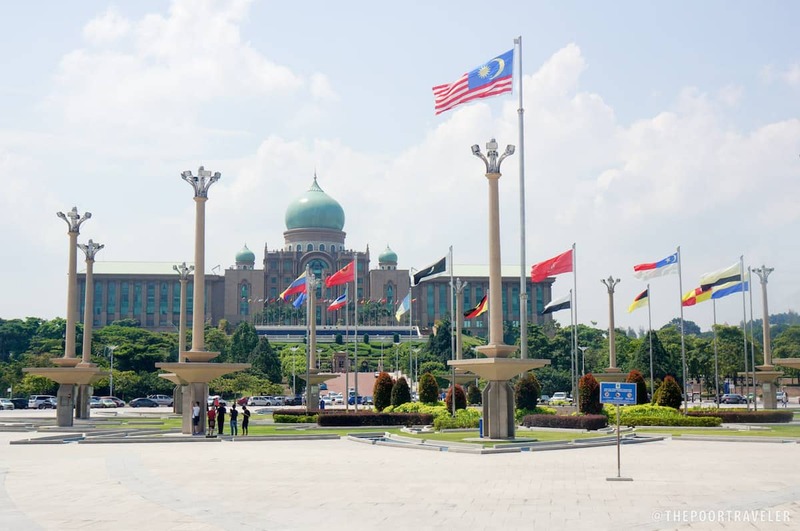 Most of the government offices are situated now in Putrajaya (another federal territory), but “KL” remains as the country’s economic and business hub. One of the strengths of this culturally-diverse city, so used to adjusting to changes, is its strong service-oriented economy. Its status as the only alpha world city (global city) in Malaysia is evident in the number of public and private infrastructures all throughout the city, especially the Golden Triangle Area, and even in the suburbs. What we’ve always loved about it is that it is a melting pot of cultures — a mix of Chinese, Malay, Indian, and even European, due to its colonial past. Language: The official language is Malay (a.k.a. Malaysian). English language is widely spoken. Modes of Payment: Local stores and restaurants only accept Ringgit, but certain foreign currencies and major credit cards (Visa and Master Card) are accepted by most hotels, fine-dining restaurants, and souvenir shops. Electricity Info: Most establishments have 3-pin square plugs and sockets at 220 – 240 V AC and 50 Hz. If you’re holding a Philippine passport, you don’t have to get a visa to enter Malaysia. Two airports serve Kuala Lumpur: Kuala Lumpur International Airport (KLIA) in Selangor and Sultan Abdul Aziz Shah Airport (Subang Skypark) in Subang. 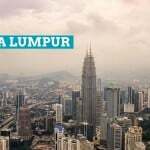 At present, the latter mainly functions for turboprop and chartered flights while KLIA, which is 45 minutes away from KL city center, is the main terminal and is also the main hub for its flag carrier Malaysia Airlines and the budget airline Air Asia. 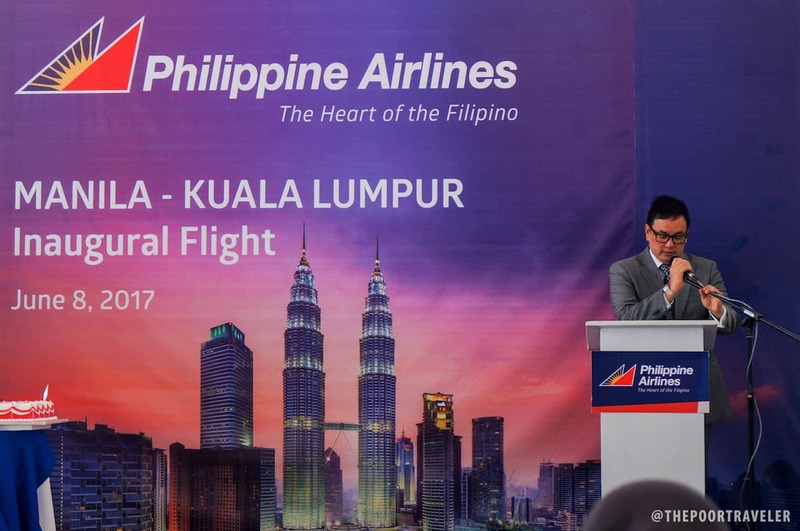 If you’re coming from Manila, know that Philippine Airlines has returned to Kuala Lumpur, offering daily flights. 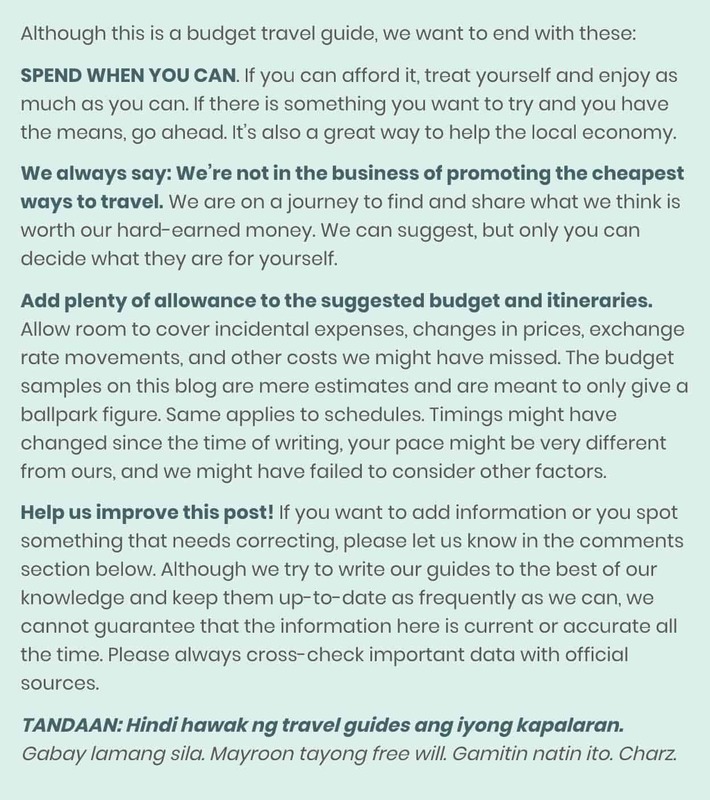 Although you will find “cheaper” flights, note that every PAL Economy booking already comes with 30 kilos baggage allowance for FREE, something that you will have to pay for separately with low-cost carriers. The sample schedule above is also aligned with the usual hotel check-in and check-out times! Many people initially go to Singapore, then cross the border to Malaysia via land transfer. There are 3 main bus companies serving this route: KKKL, Transnasional, and Konsortium Bas Ekspres Semenanjung (KBES). A bus ticket is around RM50/USD12.53/PHP623 (one way) and travel time is 5 hours. For those who are coming from Thailand (Hat Yai), there are a couple of bus companies offering this route: Konsortium Bas Ekspres Semenanjung (KBES) and Alisan Golden Coach Express. Bus fare is around RM55/USD13.78/PHP685 (one way) and travel duration is 7 hours. Keretapi Tanah Melayu (KTPM) is the primary rail operator in (Peninsular) Malaysia. KL Sentral railway station is the main hub for KTM’s intercity and international trains. They have day and overnight train services which also include Singapore-Malaysia and Thailand-Malaysia routes. You can choose among these modes of transportation: by train, by bus, or by taxi. Well, a taxi would be the last resort or not an option at all (unless you arrive past 1 AM). Note that “KL Sentral” is the main transit hub in Kuala Lumpur. The Fastest Option: Kuala Lumpur International Airport Trains (ERL). There are two types — KLIA Ekspres and KLIA Transit. KLIA Ekspres travels (non-stop) between KLIA and KL Sentral in 28 minutes for RM55/USD13.78/PHP685 (one way). Operation hour is from 5:00 AM to 1:03 AM. 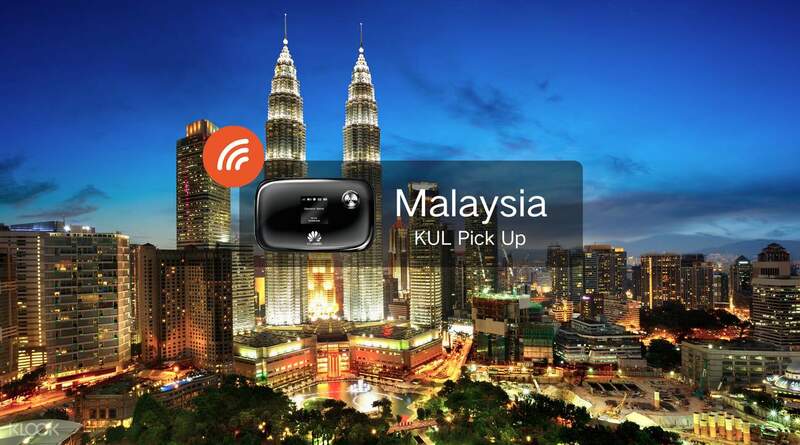 If you don’t want to queue for KLIA Ekspres ticket, Klook is offering a fast and efficient way at a discounted price. All you need to do is to get to KLIA Express barrier gate and have your voucher barcode scanned and you are good to go. KLIA Transit (stopping at Salak Tinggi, Putrajaya, and Bandar Tasik Selatan) completes the journey in 36 minutes for RM55/USD13.78/PHP685 (one way). Operation hour is from 4:33 AM to 1:03 AM. These trains also connect KLIA and KLIA2 in 3 minutes for only RM2/USD.50/PHP25. 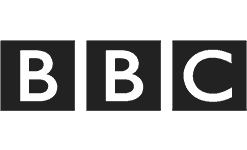 The Cheapest Option: By bus. Airport Coach has express buses running between KLIA and KL Sentral in 1 hour for RM11/USD2.76/PHP137 (one way). Operation hour is from 5:00 AM to 11:00 PM. Star Shuttle buses journey from KLIA to Kota Raya and Pudu Raya (and vice versa) near Chinatown in 1-2 hours for RM12.50/USD3.13/PHP155 (one way). 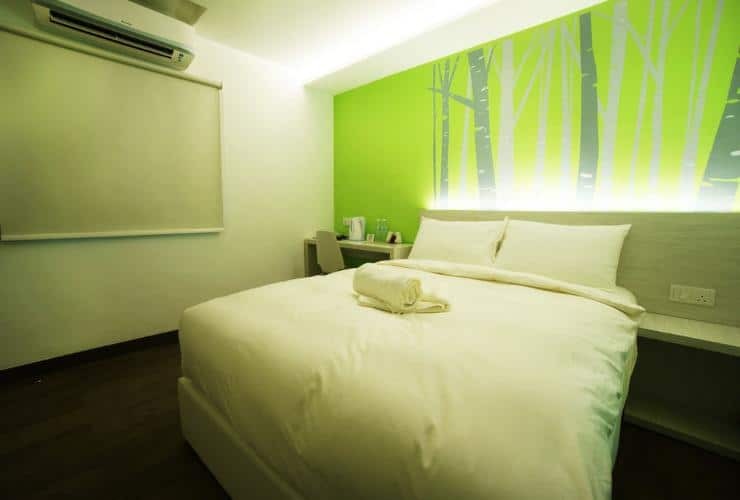 If you are coming from KLIA2 (for low-cost carriers), they offer to take you directly to your hotel, given that your hotel is within KL district for RM15. 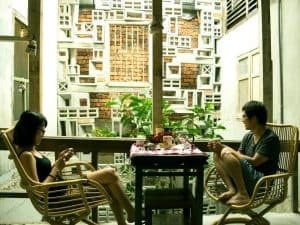 Traveling is made convenient by various mobile applications that usually work with an internet connection, thus it’s important to stay connected. You can either buy a 4G SIM Card or rent a pocket WiFi device. 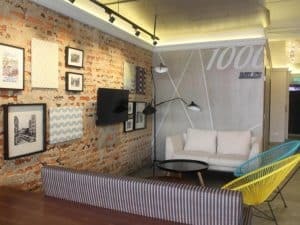 Being one of the most visited cities in the world, Kuala Lumpur danced to the rhythm and adjusted well to the growing need for accommodations, hence the presence of not only popular international hotel chains but also local ones. 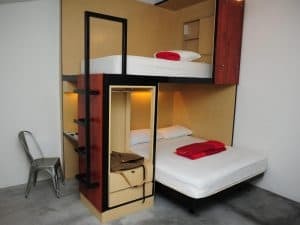 Whatever budget you have for your accommodations, from luxury (Malaysia has some of the cheapest 5-star hotels) to hostels, Kuala Lumpur got you “covered”. 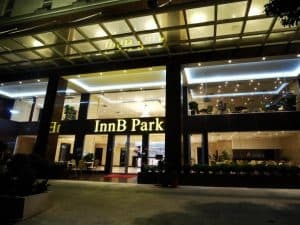 If you want to give the 5-star hotels a try, you might want to check Hotel Istana located at No. 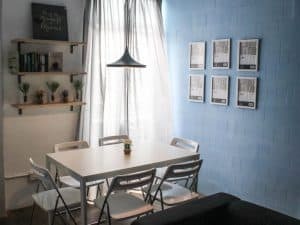 73, Jalan Raja Chulan, Bukit Bintang, Kuala Lumpur. To help you further, here are some of the top budget hotels and hostels according to online users. The traffic condition in Kuala Lumpur, especially during weekdays and rush hour, is reminiscent of Metro Manila. But you can ease your way through the jam when you learn to travel smart in Kuala Lumpur. You may combine monorail-taxi mode of transportation instead of just taking the bus. You can also explore Kuala Lumpur on foot! 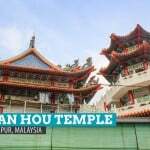 You may tour around Chinatown area heading toward Petronas Twin Towers and KL Tower area. 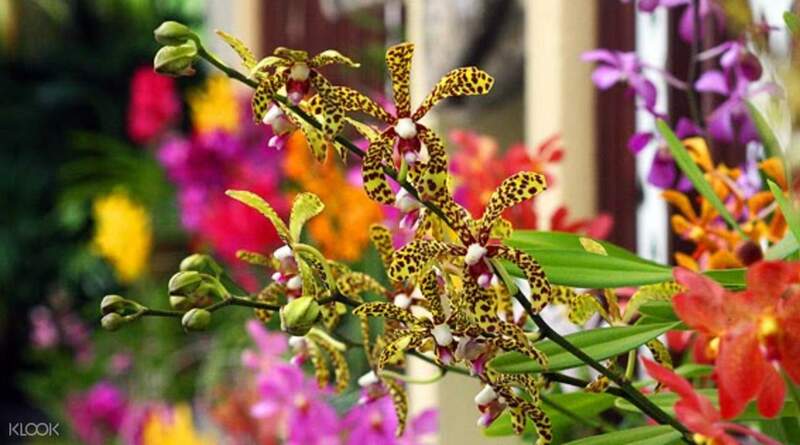 You may also enjoy nature in one of KL’s numerous parks such as the Lake Gardens. If you are into history, arts, and culture, you can marvel at one of the museums like its National Museum. 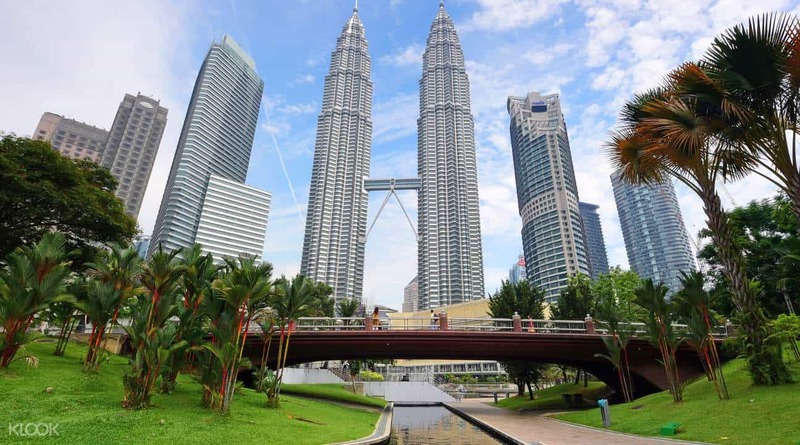 However you want to discover Kuala Lumpur, the city offers plenty of options for you. RapidKL Monorail & MRT/LRT: This transportation service has 5 lines — Sri Petaling Line, Ampang line, the Kelana Jaya line, the Monorail line and the Sungai Buloh-Kajang line. Take this train if you plan to go to Bukit Bintang, KL Tower, Twin Towers, Chinatown, and Little India. Fare starts from RM1/USD.25/PHP12. KTM Komuter: If you’re going to Batu Caves and outside the city center, you may take this train service. It has 2 lines heading to the suburbs from the city center and vice versa. ERL: As mentioned previously, the two lines (Ekspres and Transit) run between KL Sentral and KLIA. RapidKL Bus: These buses are divided into three routes: Bandar (B) buses shuttle passengers within the city center; Utama (U) buses runs toward the suburbs; Tempatan (T) buses are train station services. KL Hop-on Hop-off: If you want hassle-free city tour, you may avail yourself of this double-decker bus service.  Free WiFi on board. Free ride for children below 5 years old. Ride-all-you can until ticket validity expires. Go KL: This bus service is FOR FREE! It has four routes: Purple Line travels between Pasar Seni to Bukit Bintang; Green Line runs within KLCC (Kuala Lumpur City Center) area and links with Purple Line at Bukit Bintang; Red Line connects KL Central to Jalan Tuanku Abdul Rahman; and the Blue Line shuttles between Medan Mara (where it also meets with Red Line) and Bukit Bintang. If you must ride a taxi, it’s important to note that they have two types of taxis: the normal taxi and the executive taxi. Normal taxis have red and white colors and flag down rate is RM3/USD.75/PHP37 (first 1km, then RM1 per succeeding kilometer). Executive taxis are the ones in bright blue and flag down rate is RM6/USD1.5/PHP75 (first 1km, then RM2/USD.50/PHP25 per succeeding kilometer). Another option is using the ride-sharing apps like GrabTaxi and Uber. Here are some of the popular tourist attractions in and around the city. We also included tourist spots outside but not too far from KL. 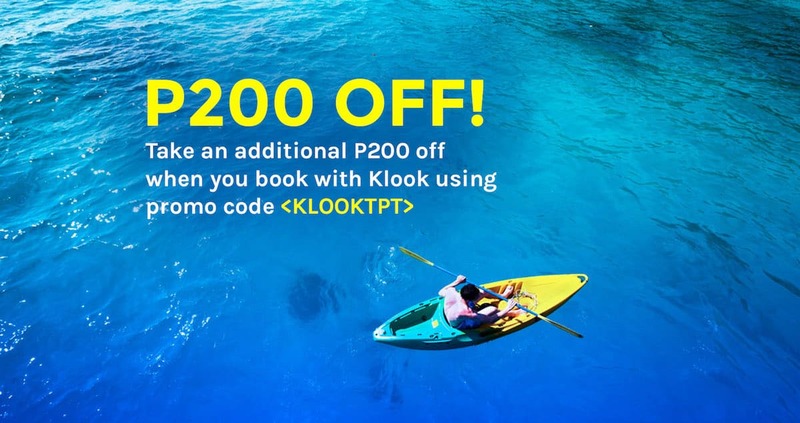 If it’s your first time to book with Klook and you’re based in the Philippines, use the promo code KLOOKTPT to get a P200 discount on your first booking! Valid until December 31, 2017 only. Petronas Twin Towers became one of the most famous icon in Malaysia. It currently holds the title of being the world’s tallest twin structure. Tickets are issued on “first come, first served” basis, but with Klook, you can skip the lines with guaranteed tickets PLUS one-way transfer. 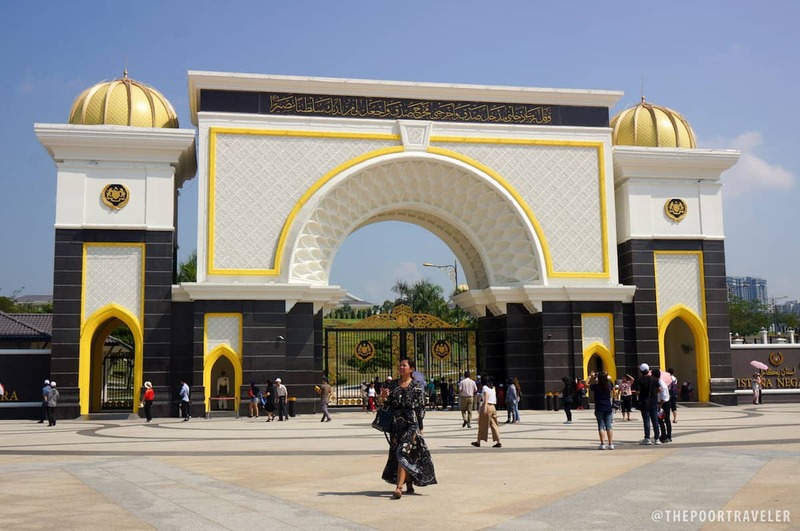 Istana Negara became the official residence of the King of Malaysia in 2011. A yellow flag indicates the presence of the king inside the palace. If you don’t see a yellow flag, it means the king is not present in the palace. Built in 1897, the building stand majestically with its breathtaking architecture. One of its notable feature is the clock tower. Across the building is the Dataran Merdeka (Merdeka Square) heritage site. Built in 1963, the National Museum displays vast collections which defined and shaped the nation’s history and cultural heritage. 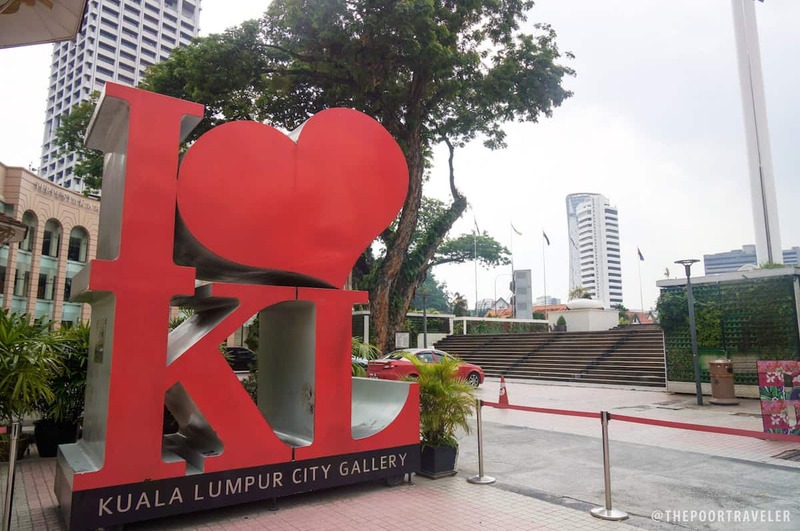 KL City Gallery gives a big picture of the city’s what had been, what is, and what will be. 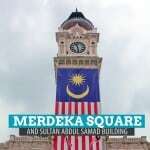 It is just a stone’s throw away from Merdeka Square and Sultan Abdul Samad Building. As the world’s seventh tallest telecommunications tower, KL Tower stands as the city’s most recognizable landmark. Admission Fee: Adult, RM52/USD12.03/PHP648; Children, RM31/USD7.77/PHP387 (Observation Deck) / Adult, RM105/USD26.31/PHP1309; Children (13y/o above), RM55/USD13.78/PHP685 (Sky Deck) *There are other attractions inside KL Tower including F1 Stimulator and XD Theater, among others. You may do combination package or purchase a ticket per attraction. Whether you are getting a single-attraction pass or thinking of getting a combo package, Klook is offering KL Tower tickets for less. This 173-acre park is home to other interesting attractions include the Perdana Botanical Gardens (also known as Lake Gardens), KL Bird Park, Orchid Garden, Deer Park, Butterfly Park, and Islamic Art Museum to name a few. Admission Fee: Entrance to the park is free; Some attractions inside are free also, others have minimal fees. If you want to experience three attractions — Bird Park, Butterfly Park, and the Orchid Garden, you can book this half-day tour with Klook. The city of Kuala Lumpur used to be Malaysia’s administrative center; Putrajaya now holds that title. Almost all of the government-run establishments are located here. Some of the notable structures include Putrajaya Government Center, Putra Mosque, Putra Perdana, and Putra Bridge among others. 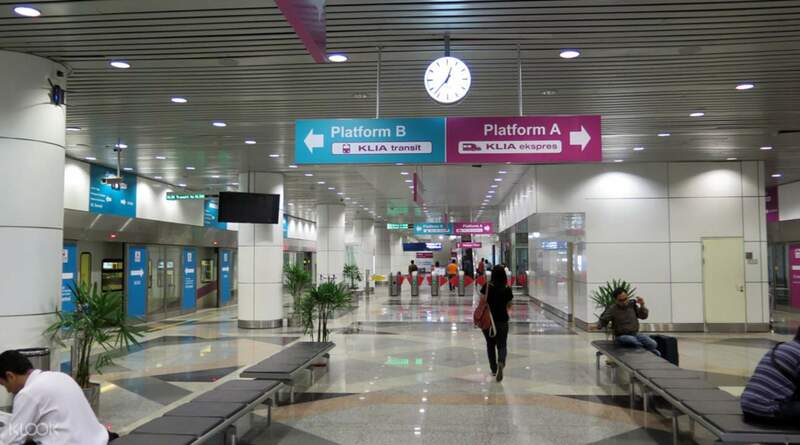 How to Get Here: From Kuala Lumpur city center, you can take the KLIA Transit from KL Sentral. The fare is around RM15/USD3.76/PHP187 (one way). If you opt to take the bus, pick up/drop off point for passengers traveling between KL and Putrajaya is beside Putrajaya Sentral train station. Fare ranges from RM3/USD.75/PHP37 – RM5/USD1.25/PHP62. Taxi fare should be between RM40/USD10.02/PHP499 – RM50/USD12.53/PHP623, but you would not take the taxi, right? Hehe. Going around Putrajaya is quite tiring. The distance from one attraction to another is quite a long walk, and there are few public transportation within Putrajaya, but if you really want to explore this federal territory, Klook is offering a tour, which might interest you. Attractions include PJ Government Center, Putra Mosque, Putra Perdana, Putra Bridge, and Agriculture Heritage Park. 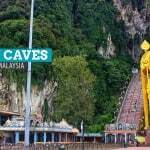 Batu Caves is an important and sacred place for the Hindu people. The limestone hill houses a number of caves and Hindu cave temples. Visitors will have a feel of countryside life and the lush vista of the suburbs. 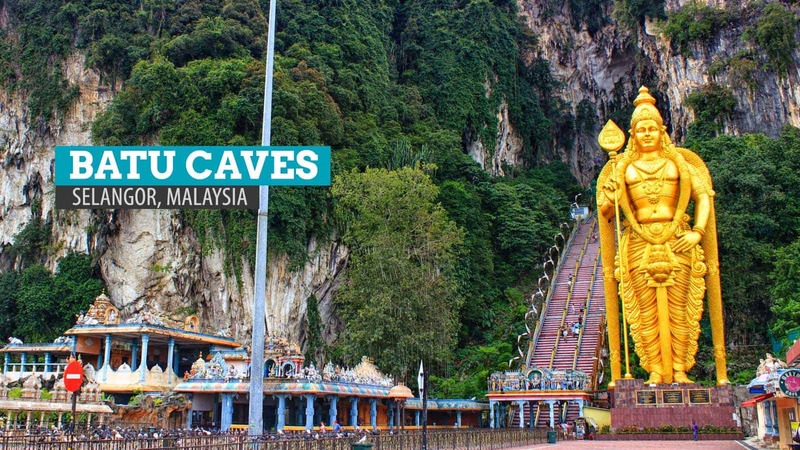 Batu Temple Cave has no entrance fee and is open daily from 7 AM to 7 PM. How to Get There: Coming from KL Sentral, take the KTM Komuter train going to Batu Caves station. The fare is around RM2/USD.50/PHP25. If you are going there by bus, RapidKL has two routes going to Batu Caves: U6 (get off at APM) and U10 (get off at Jalan Sri Batu Caves 5). It would be better if you ask the driver to inform you where to get off. The fare is around RM3/USD.75/PHP37. For taxi, the fare ranges from RM20/USD5.01/PHP249 – RM25/USD6.26/PHP311. If you want to make the most of your countryside/suburbs trip, Klook offers a tour of Batu Caves combined with other interesting destinations such as the Batik Factory and Pewter Factory. If you are looking for a shopping mall, a theme park, a water park, and a hotel all in one place, then Sunway Lagoon is the place for you! I was actually amazed at how extensive the place is. It’s that one place where all family members (with different personalities and needs) will fit in. How to Get There: Take KTM Komuter train going to Subang Jaya station, then get on a feeder bus to the Sunway Pyramid stop. If going via Putra LRT, get off at Kelana Jaya station, then catch a feeder bus to the Sunway Pyramid stop. 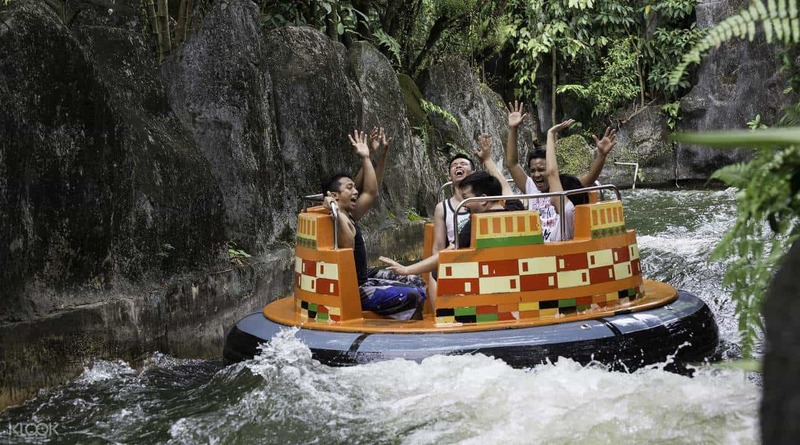 Sunway Lagoon is approximately 15 minutes away from Kuala Lumpur. Klook is offering discounted 1-day tickets for you to experience 80 rides across 6 theme parks! 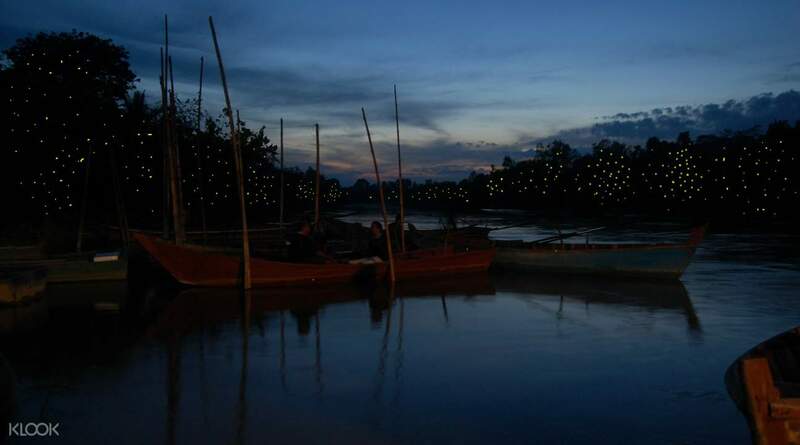 Kampung Kuantan is a popular destination for those who want to witness the dancing light performance of the colonies of firefly while cruising the Sg Selangor river. It is one of the famous sites with the largest firefly colonies in the world. Firefly watching activity is from 7 PM to 10:30 PM. How to Get There: If you are coming from Puduraya Bus station (city center), take a bus to Kuala Selangor. You can get the ticket inside the bus. The fare is around RM2/USD.50/PHP25. From Kuala Selangor, take another bus that passes the entrance to the firefly park. If you choose to ride a cab, the fare is around RM50/USD12.53/PHP623 (one way). Boat rental fee is around RM53/USD13.28/PHP660 per boat. Each boat can accommodate four people. Travel time is around 1.5hr to 2hrs from Kuala Lumpur city center. It would be best if you avail yourself of a package tour for firefly watching rather than doing it by yourself. If you go there DIY-style, you need to find accommodations as it would be difficult to get back to the city late at night. Even getting a cab would be hard and costly. Some of the Firefly Watching tours offered are overpriced, so be wary of those. Klook is offering a discounted rate not only for the firefly activity but also for a visit to the historical Kota Melawati. One of Malaysia’s oldest Indian settlements, Little India covers the area between Jalan Travers and Jalan Tun Sambanthan. This modern structure is all about Science and Technology. This exciting place gives an overview of how petroleum industry works. Used to be the residence of the King of Malaysia, this structure has been transformed into a museum, showcasing the royal memorabilia. Outside of Kuala Lumpur, there are other attractions which might take your interest. 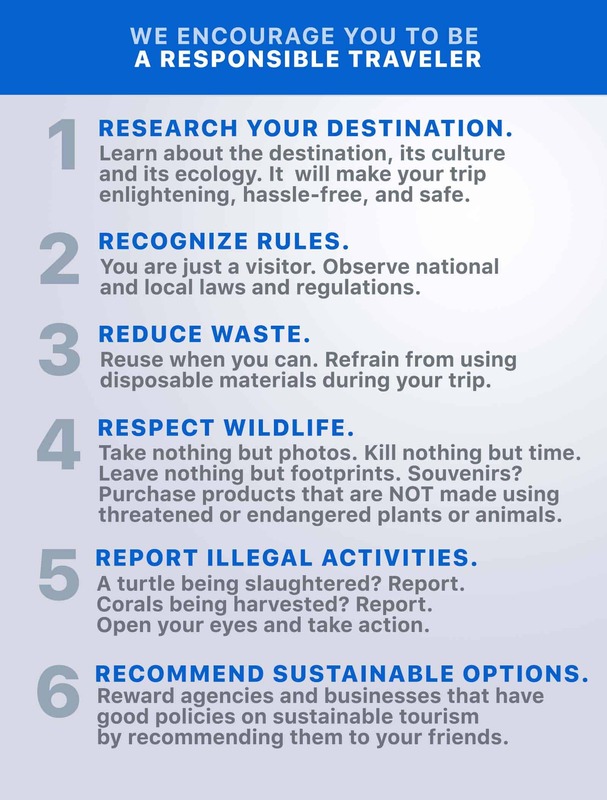 You can either go DIY-style or you can join a group tour if you don’t want to think about the how-to-get-there part especially when you are traveling with kids or elders. 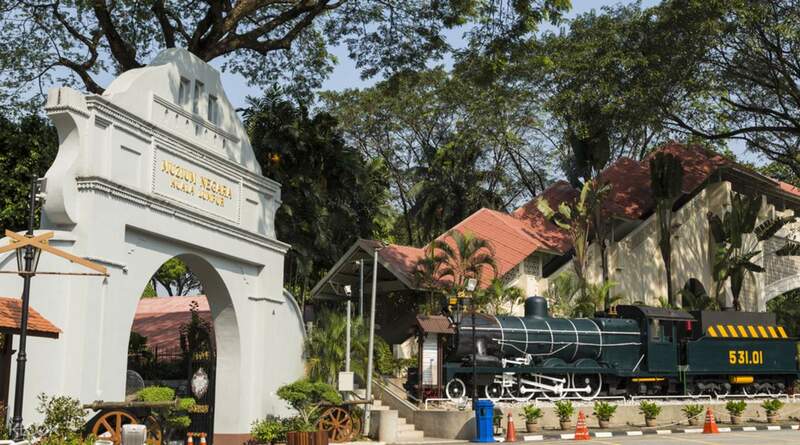 A couple of hours away from Kuala Lumpur is the historic state of Melaka. It is Malaysia’s first UNESCO World Heritage Site for Culture recipient. Melaka is one of the four Malaysian states, which are not under the rule of the Sultan; the other three are Penang, Sabah, and Sarawak. A governor is the head of Melaka state. Take photos of the Dutch Square (most commonly known as the Red Square), stroll along the world-famous Jonker Street, or take a river cruise. How to Get There: Take bus from TBS (Terminal Bersepadu Selatan) going to Melaka Sentral. Buses leave every 30 minutes. Fare is around RM10/USD2.51/PHP125 – RM15/USD3.76/PHP187. Travel duration is two hours. Should you want to take this historical tour of Malacca, Klook is offering this tour at a good price. 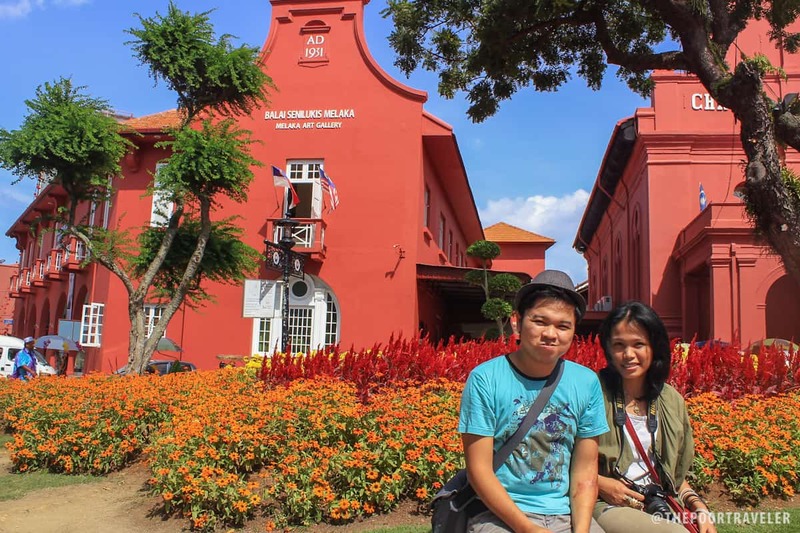 You can read MALACCA MALAYSIA: Budget Travel Guide for more details. 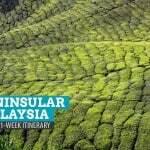 Cameron Highlands encompasses hilly terrain that is close to the size of Singapore. Due to its elevated location and the rich flora, the temperature is cooler. Refresh and clear your mind while enjoying the scenic tour around the area. Activities include farming, fruit-picking, and trekking. How to Get There: From Kuala Lumpur, take a bus from TBS (Bandar Tasik Selatan) going to Tanah Rata. Fare starts at RM35/USD8.77/PHP436, one way. Travel duration is 3 to 4.5 hours. If you want to avail a tour package, Klook offers a comprehensive itinerary for a discounted price. 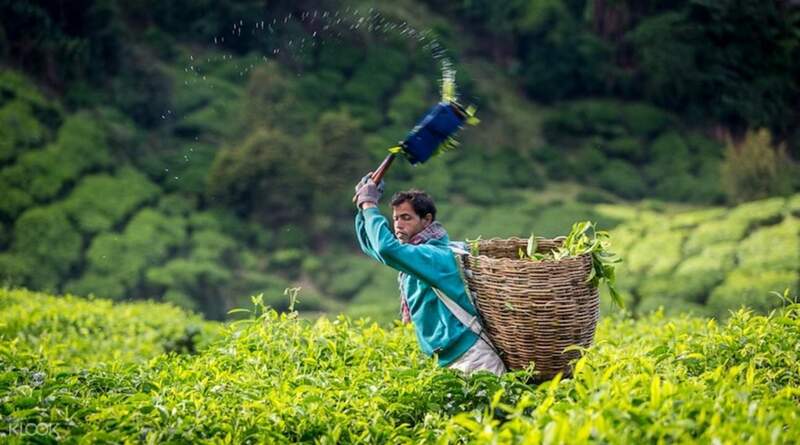 The itinerary includes tea plantation, bee farm, butterfly farm, strawberry farm, waterfall, and local fruit and vegetable market. Another high-altitude attraction near Kuala Lumpur is Malaysia’s biggest hilltop resort, Genting Highlands, also known as Resorts World Genting. 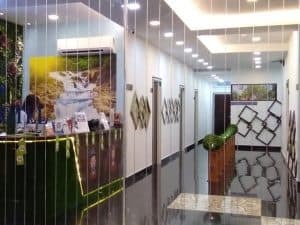 It’s a one-stop place for those who fancy both urban activities such as shopping while also relishing the cool temperature and basking in the verdant scenery. The place is also famous for its hotels and entertainment including theme parks (both indoor and outdoor) and golf course, among others. 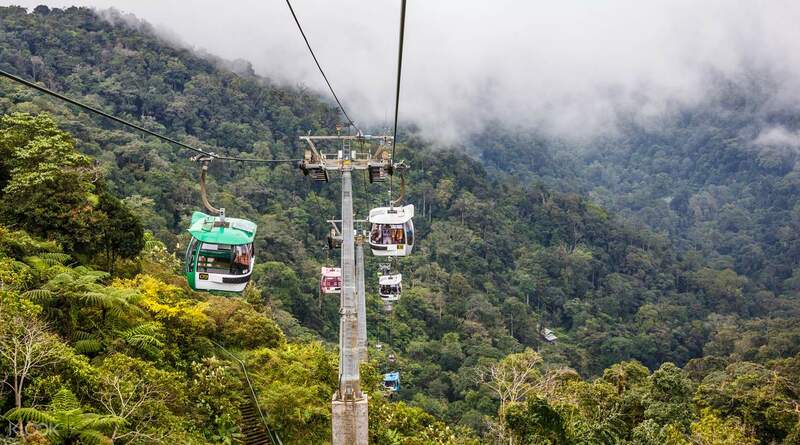 But what really made this place stand out is its monocable gondola lift, the Genting Skyway, which is the longest and fastest cable car in Southeast Asia. How to Get Here: There’s no railway directly servicing Genting Highlands, but the resort provides shuttle buses running hourly between Genting Highlands and Gombak Station (KJ1) of the Kelana Jaya Line. From KL Sentral, you can purchase your bus ticket (and Genting Skyway cable car ticket) at the Lower Ground Floor. It is recommended to get your return ticket too and plan your trip well. Be mindful of your time. Overall fare is around RM20/USD5.01/PHP249 – RM25/USD6.26/PHP311. If you don’t want to be overwhelmed by this trip and worry less about catching your bus to the city center on time, let Klook handle the arrangement for you at a discounted price. As one of the shopping capitals in Asia, shopping experience for tourists is made even better not only because of the relatively cheap goods and services but also because of the GST (Goods and Services Tax) Refund Scheme. I, myself, who is not really into shopping when I travel bought a lot from this trip, especially the 3-in-1 teh tarik packs. Haha! Don’t miss out on that one. The teh tarik is to die for! Bukit Bintang is KL’s premier shopping district, much like Singapore’s Orchard Road and Tokyo’s Ginza District. You will never be left wanting for more shopping malls when you come to this area. It currently has eight malls providing shoppers, locals and foreigners alike, with wide spectrum of choices from clothes to food to gadgets. 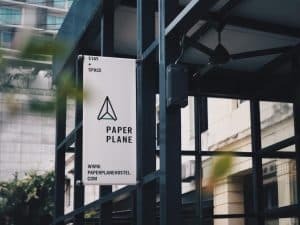 Outside the Golden Triangle area, the suburbs enclaves, such as Bangsar in the South and Mont Kiara in the North, have a laid-back urban ambiance. They not only have specialty stores and boutiques offering unique shopping experience but also have bargain shops offering goods at low price. Jalan Petaling is located at the city center. If you are into bargain finds and souvenirs, you might love combing through this traditional commercial district. The area is most commonly referred to by the locals as “Chinatown”. 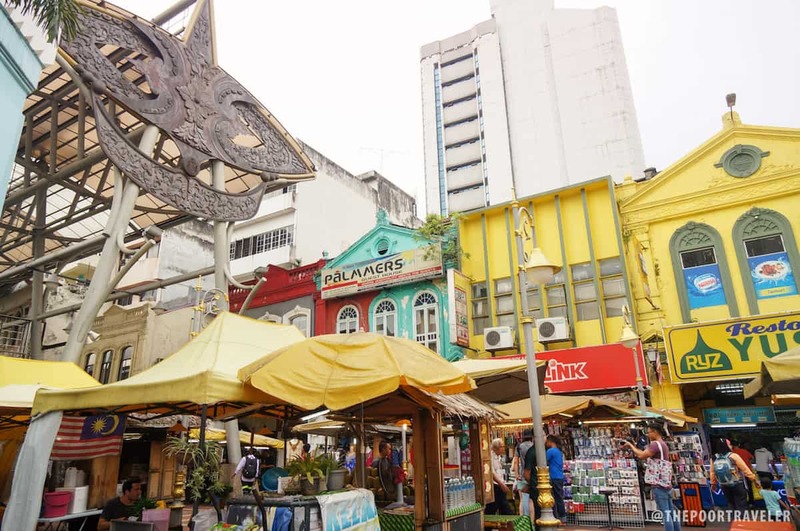 One of the suggested places to shop is the Pasar Seni, also known as Central Market. The place offers Batik products and other apparel products, local handicrafts, food (either for snacking or for “pasalubong”), and many more! Here’s a sample 5D/4N Kuala Lumpur itinerary. Choose to walk when you can. The monorail is a very convenient way to go around the city. You might miss something interesting if you opt to ride rather than walk. Point with your thumb. It is considered rude if you point using your forefinger. Respect homes and places of worship. If you are entering homes or places of worship, shoes must always be removed. Ask permission. 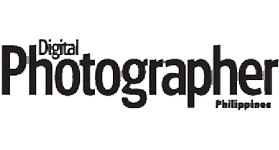 It is better to ask permission when you want to take photos inside places of worship and someone’s home. Use your right hand. When giving and receiving something, it is preferable to use your right hand.